In 2008-2009 Arseniy Yatseniuk grew rapidly in popularity and was seen as the rising star of a “new generation of Ukrainian politicians,” with some even touting him as “Ukraine’s Obama” who would inevitably prove “pro-Western.” Evidence of Yatseniuk’s pro-Western stance was seen when he promoted Ukraine’s trans-Atlantic integration as foreign minister in 2007-2008, his election in the first five candidates of the pro-Western Our Ukraine-People’s Self Defense bloc in the 2007 elections and his signature (together with President Viktor Yushchenko and Prime Minister Yulia Tymoshenko) on a January 2008 letter to NATO requesting a Membership Action Plan for Ukraine. These assumptions about Yatseniuk were not based on his statements or election program, which was only released in October (www.frontzmin.org). Yatseniuk’s foreign policy shift away from Brussels and Moscow is described by Ukrainian experts as “isolationist” or a nationalist third-way. In June 2009, Yatseniuk’s main financial sponsor –oligarch Viktor Pinchuk– pressured him to exchange Ukrainian for Russian political technologists: Timofei Sergeitsev, Dmitry Kulikov and Iskander Valitov (www.proua.com, July 3; Ukrayinska Pravda, July 21-22). These political technologists had a poor reputation –they had not only worked in Viktor Yanukovych’s 2004 dirty election campaign, but also belonged to the State Duma Expert Council controlled by the Ukrainophobe Konstantin Zatulin who is banned from entering Ukraine. Russian political technologists moved Yatseniuk away from his pro-Western orientation to a Ukrainian “third way,” isolationist-nationalist platform. In an interview in Korrespondent (July 31), Yatseniuk praised the former Russian President Vladimir Putin for bringing order to Russia. When asked if he wanted to be a “Ukrainian Putin” he replied that he planned to be neither a “Putin” nor an “Obama,” indicating the isolationist-nationalism position he was adopting. 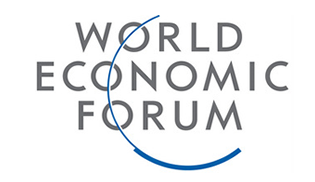 Yatseniuk has also used the global economic crisis to become a critic of liberalism (www.frontzmin.org). Since last summer Yatseniuk has abandoned the pro-NATO position that he held in 2007-2008. In a lengthy interview in Komsomolskaya Pravda v Ukraini (July 31-August 6), Yatseniuk stated his now often repeated phrase that Ukraine is not being invited into NATO or the E.U. and, therefore, membership in both organizations is currently not an issue for the country. Yatseniuk’s election program, speeches and statements call for a new “Eastern European union” of countries not given a membership option by the E.U. which he defines as “Greater Europe” (Komsomolskaya Pravda v Ukraini, September 28). One of the first public discussions of Yatseniuk’s isolationist-nationalism took place at the annual Yalta European Strategy (YES) summit on September 25-26. YES, a pro-E.U. 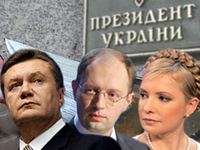 lobbying NGO funded by Pinchuk gave the floor to the three main presidential candidates –Tymoshenko, Yatseniuk and Yanukovych– in a live broadcast on ICTV, one of four television channels owned by Pinchuk. Yatseniuk’s speech at the YES summit confused Ukrainian and foreign guests with voters watching ICTV unclear as to what he really stood for, and if he supported or opposed Ukraine’s membership of the E.U. (NATO was not even raised). “Nobody to the very end understood what Yatseniuk meant when he spoke of Greater Europe,” Glavred editor and Yatseniuk sympathizer Alyona Getmanchuk observed on September 28. 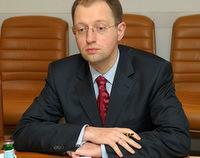 Yatseniuk could not answer repeated questions as to what ideological niche he represented (www.glavred.info, September 28). Ukrainian media analysis following the YES summit was uniformly critical, stating that he was a different man the year before, when he was described as the “most progressive pro-European” Ukrainian politician (Ukrayinska Pravda, September 28). Yatseniuk’s speech shocked guests for the “aggressiveness” of its “message” (www.glavred.info, September 28). Yatseniuk’s Greater Europe is an alternative to Western and Russian integrationist projects and would unite Ukraine, Russia, Belarus and Kazakhstan in a new union with its center in Kyiv. Greater Europe would focus on four joint projects in energy, transport and communications, industry and access to world markets and the military-industrial complex (Yatseniuk’s “New Course” election program, www.frontzmin.org). In Yatseniuk’s “Ukrainian Interests” (Interfax-Ukraine, September 28) he explained the roots of his Greater Europe idea as lying in the most “powerful geopolitical project in the history of mankind –Kyiv Rus” (Ukrayinsky Tyzhden, October 16). Yatseniuk stressed the role of Kyiv as the ideological center of eastern Pan Slavism, Eastern European Orthodox civilization and the ideological kernel of the Russian empire. Kyiv should, Yatseniuk believes, be revived as the center of a new geopolitical project and “Eastern European empire with its center in Kyiv” (Komentarii, October 16). “Ukraine can and should become the initiator of a new Eastern European union that I see from Uzhorod to Vladivostok. And Kyiv will be its center,” he asserted (Komentarii, October 16). As Ukrainian experts noted, Yatseniuk has “borrowed” the ideas of Ukrainian right and left-wing populist-nationalists who propagated the theme of “away from Moscow and the West” in the 1990’s. In 1993 Dmytro Korchynsky, the then leader of the extreme right-wing Ukrainian National Assembly (UNA), said: “Our people have become used to living in a big state. We will make Ukraine into a large state so that the people will have no need to change their habits” (Komentarii, October 16). UNA’s fusion of pan-Slavism and Ukrainian nationalism came one year after its paramilitary People’s Self Defense Forces (UNSO) fought in the Trans-Dniestr conflict on the side of separatists. Korchynsky is now head of Bratstvo, a member of the Eurasian Youth Movement. Left-wing Ukrainian left-wing populist-nationalism was popularized by two Prime Ministers in 1995-1997: Yevhen Marchuk and Pavlo Lazarenko. This translated into political support in the in the 1998 elections in the Social Democratic united and Hromada parties respectively. Yatseniuk’s Greater Europe is also similar to the 2003 CIS Single Economic Space that unites the same four countries with Kyiv replacing Minsk as its center. In 2008 Yatseniuk was seen as the new face of Ukrainian politics supporting a pro-Western foreign policy; but, this was before Ukrainians and Westerners had seen his program. Since last summer, his election program has positioned Yatseniuk as the candidate supporting an isolationist-nationalist third way, without deference to either Moscow or Brussels and Washington.